A short, sensate work about breaching surfaces. This short abstract and experimental film is a contemplation of mark making and erasure. It is accompanied by a soundtrack that comprises whispering voices, talking of scars and surfaces. 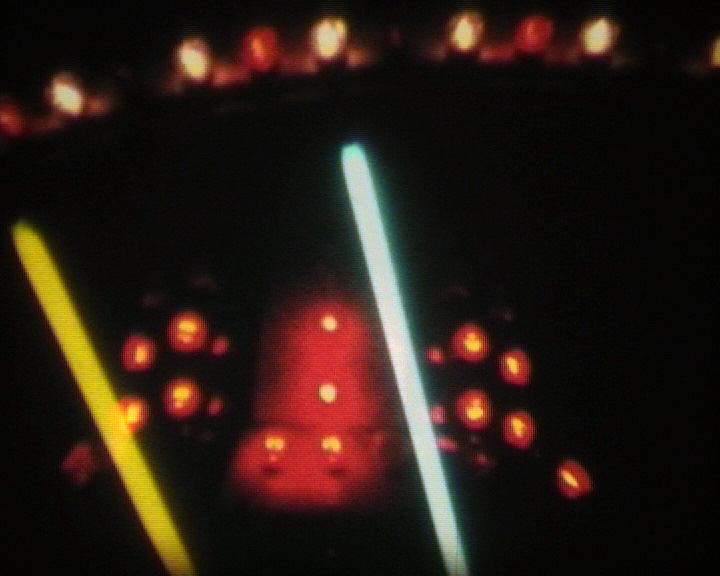 It was made using Super 8 film, worked on directly with marks and household chemicals, scoring the surface. It was then transferred to DV. This piece was originally edited for viewing on small screens and hand held devices (phones, iPods, laptops etc), using headphones. The camera follows the surface of a body, tracing the contours and focussing on the surface. The flesh under the gaze undulates as the camera travels slowly across its surface, almost touching, almost revealing, but not quite. The viewpoint that we have in this piece is something that could only be achieved with a camera because it is used more as an instrument of touch and proximity than as a viewing device. The accompanying soundtrack is comprised of samples directly taken from the video’s ambient soundtrack, reworked to emphasise bodily presence. This film is one of my earliest attempts at digitally editing Super 8 footage from old family movies. In this work, I began editing the film footage to a sound piece that I had been working on. Immediately, this gave the footage an interestingly melancholy edge and I continued to edit equally between the sound and the footage to produce the final result. A short filmed work about surfaces, textures and movement within an urban landscape. Shot entirely on a hand held DV cam for the duration of a single short (but fast) journey on the back of a motorcycle, this film gives a unique perspective of the felt experience of Los Angeles, CA. Riding pillion puts you into a strange space, exposed to the elements and travelling at high speeds, you hang on, you have no control. It’s exhilarating and sometimes terrifying. The way to enjoy the ride on the LA freeways is to sit back, hold on and watch as the landscape rushes past. You can never think of the risk you take. The moments when you stop punctuate the speed and movement and take on an intense quality. The camera, in this instance, sees how it feels to take such a ride. It struggles to focus in as the landscape rushes past, resulting a collision of movement and a constantly changing abstraction of the digital surface of the image. The soundtrack was constructed from sampled sounds and music, reworked, twisted and changed in the edit and with the footage in mind. Once the sound was completed, the visuals were edited to the soundtrack. Voices, whispering and repeating, speak of the body’s surfaces. How skin stretches and breaks, how it feels to the touch, skin touching skin… The words are indistinguishable, intended to convey touch rather than meaning. Best listened to while stroking a favourite scar. I was filming in Death Valley Junction, seeking an empty landscape, when I gained an audience. It turned out I was filming in the territory of the last herd of wild horses in Death Valley, and possibly the whole of California. We watched each other for upwards of 20 minutes, although I ran out of tape after about 10 minutes. This piece is best watched, accompanied by your favourite horse themed music. My preference is to fade in ‘The Last Ride Back to KC’ by Nick Cave and Warren Ellis from the soundtrack album of the film ‘The Assassination of Jesse James’, at around 02m 05s 03f. Copyright restrictions prevent me from using it on Youtube. Hardly a work of art, the piece is more of a contemplation of inter-species observation.